Amelia Bloomer, American feminist and champion of dress reform, 1869. 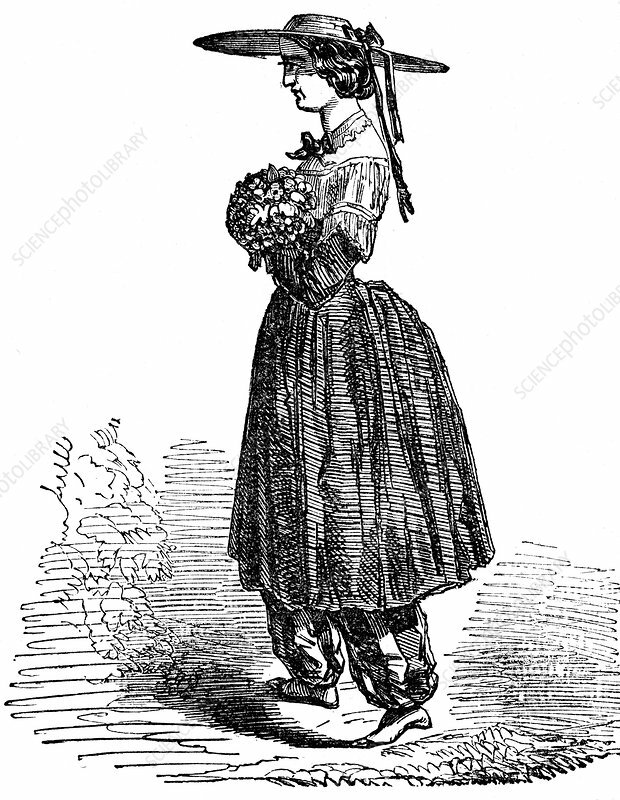 Amelia Bloomer (1818-1894) pictured wearing an example of the dress she designed. She is probably best remembered for the type of women's undergarments that she designed and are named after her, but was also an active campaigner for women's rights, including suffrage.